No doubt window blinds is very famous and has become the trend now a days. Everyone wants unique look to their house matching their decor. 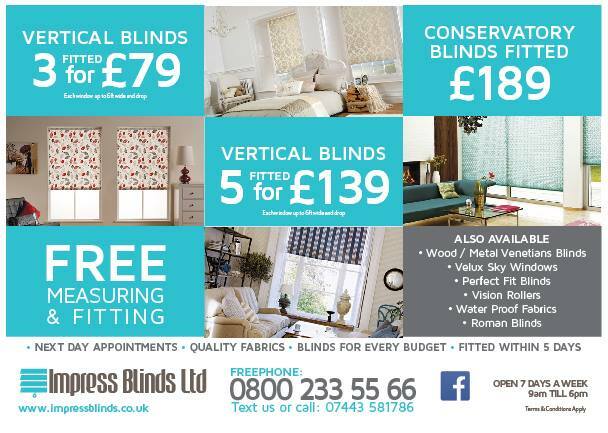 If you are living in Rotherham or surroundings we can help and you can take advantage of all our great offers.We stock all fabrics for all conditions such as blackout blinds to stop sunlight to enter in rooms and it will also safe the rooms from getting warm. It will never tease you while you are sleeping in your room. We Impress Blinds prides itself on serving great services to our valued customers not only for Rotherham (South Yorkshire), But across UK as well. Our major clients in Rotherham (South Yorkshire) are much satisfied with our services.